Michael Brown, founder of Happy Couples Healthy Communities, with Drs. 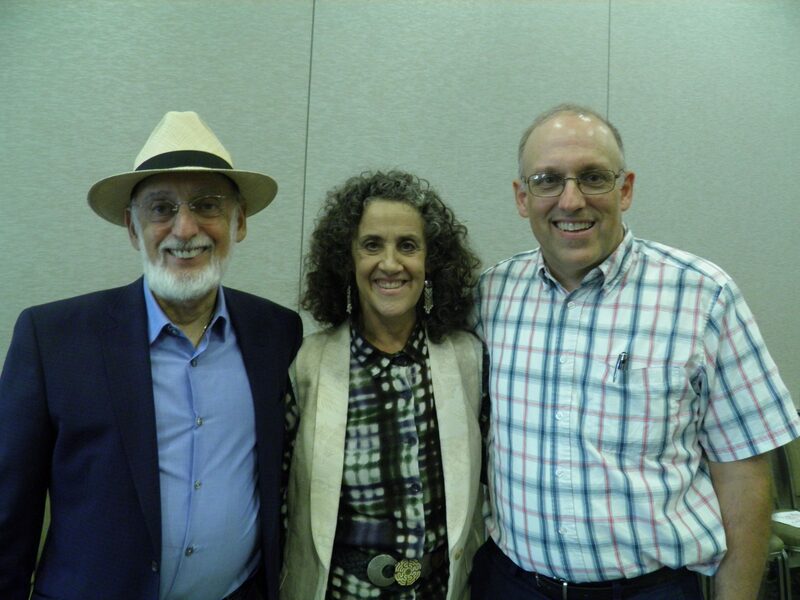 John & Julie Gottman at a Seattle Couples Workshop. Michael Brown, MSC, LMFT, is fiercely committed to assisting non-profit organizations and communities with high needs to help couples dramatically improve the intimacy and friendship in their relationship and resolve conflict in a healthy, productive way, thereby creating healthier communities. 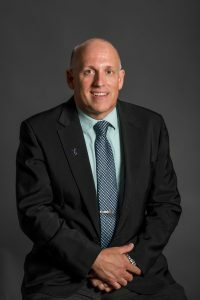 If you are looking for a proven professional who can help you address the problems of marital conflict, substance abuse, and domestic violence in your community, you’ve come to the right place. With over 12 years of experience working with couples and families in community mental health and substance abuse treatment, my mission is to bring quality, research-based couples workshops to non-profit organizations and communities with high needs. My path to becoming a marriage and family therapist became clear when, as a Substance Abuse Case Manager and a Family Support Specialist, I was privileged to witness parents achieve sobriety, enter recovery, and regain custody of their children, thereby restoring harmony in the home and contentment in the community. Later, as an intern at Phoenix Interfaith Counseling, I was introduced to Gottman Method Couples Therapy, and immediately gravitated towards it because I found it to be effective in giving couples the tools that they need to improve their friendship and intimacy and manage conflict in their relationship in a healthy way. What lights me up about this work is witnessing couples and families turn their relationships and lives around and interact in loving and healthy ways. I want to be about changing the world and creating a more peaceful and just society and I believe that the best way to do so is to create happy couples and families and healthy communities. What sets me apart from other service providers is my ability to integrate Gottman Method Couples Therapy with the unique needs of communities in crisis. I have an inquisitive mind that seeks to integrate theory, research, and sound clinical practice in a culturally-appropriate fashion. Unlike many of my colleagues who are in private practice, I have worked in community mental health and substance abuse treatment for the past ten years. For almost 8 years, I worked with the White Mountain Apache Tribe, first in suicide prevention and intervention, and then as the Family Enrichment Coordinator, the Clinical Coordinator, and the Acting Clinical Director at a substance abuse treatment center. One of the programs that I coordinated was Couples Together for Safe and Sober Families, a multi-couple treatment program for substance abuse and domestic violence that I designed and that integrated Domestic Violence-Focused Couples Therapy (Stith & McCollum) and Gottman Method Couples Therapy. 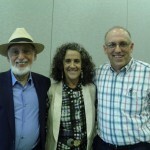 I also coordinated the first-ever Couples Day Treatment Cycle and the Annual Rainbow Treatment Center Couples Retreat, which featured the maiden voyage of “A Roadmap for the Journey: A Gottman Workshop for Couples in Recovery from Addiction.” The last two years, I facilitated the Roadmap for Journey Workshop. You can feel confident engaging me to help you and your organization to address the problems of marital conflict, substance abuse, and domestic violence in your community. Over the years, my expertise has been honored with remarkable and notable accolades, including the 2009 Devereux Quality Star Award; a Master of Divinity in Theology and Master of Science in Counseling in Marriage, Family, and Child Therapy; Clinical Membership in the American Association for Marriage and Family Therapy; and certification as a Triple P – Positive Parenting Program facilitator, a registered Applied Suicide Intervention Skills Training (ASIST) trainer, a Fatherhood is Sacred facilitator, and a Gottman Therapist. I have also been a presenter at several conferences, such as the Celebrate Life Conference, the White Mountain Apache Men’s Health Conference, the Child Find Conference, the Rainbow Treatment Center Substance Abuse Conference, and the NAFFA (Native American Fatherhood and Families Association) Annual “Fatherhood is Leadership” Conference. My perspectives have been featured on the Gottman Institute Relationship Blog, KNNB radio, the New Theology Review, Carmel in the World, and Allpanchis (the pastoral and anthropological journal of the Southern Andes), and my Facebook pages: “Happy Couples Healthy Communities,” and, in Spanish, “Matrimonios y Familias Felices” (“Happy Marriages and Families”). I have been happily married for over 12 years and am the father of a beautiful 8-year-old daughter. I lived and worked as a pastoral agent in Peru for 10 years, serving in the suburbs and shanty towns of Lima and in the high plains of the Southern Andes. I speak fluent Spanish and intermediate Quechua (the first language of the majority of the population of the Southern Andes). I entered the ring as a bullfighter in the Southern Andes on at least four occasions (don’t worry, they do not harm or kill the bulls in the Southern Andes, only “play” with them with the cape – the bullfighters are at greater risk than the bulls). Last Fall, I participated in my first mountain biking event, the Tour of the White Mountains, completing the 35-mile, single-track route. 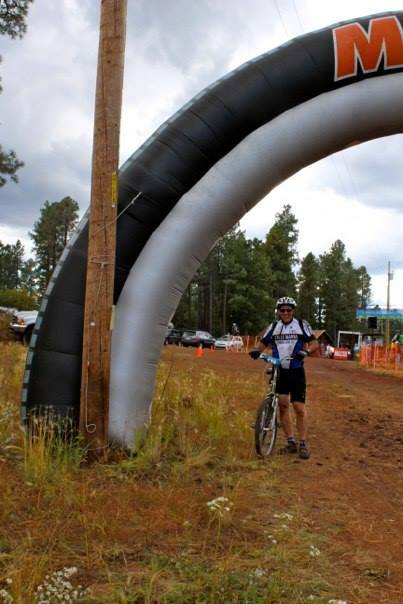 Michael Brown after the 35-mile Tour of the White Mountains. My home is in St. Augustine, Florida, but I am willing to travel nationally and internationally (particularly to Spanish-speaking countries) to provide workshops and consultation. It would be my pleasure to help you to achieve happy marriages and contentment in your community. Let’s continue the conversation in the manner that suits you best. See my contact page for more information.